In this new edition of Stefan Zweig's historical miniatures the author takes his reader to some of the most dramatic points in history, exploring moments which had a great impact on the world as we know it today. His skill is in evoking a set of completely different time periods and figures from history, beginning with the discovery of the Pacific Ocean in 1513 right up until President Wilson's failure to attain the peace treaty he wanted in 1919. As one would expect from a writer of Zweig's skill and scope, the collection is extraordinary. While at times there is a dry historical feel to some of the stories, the writing shines through transcendent as the collection becomes a whole. Moments of particular beauty include the story of Handel and his two near death experiences; one physical and one creative. Readers are absorbed into the composer's reverie as he is inspired to write The Messiah in a state of what may be described as pure inspiration. Moments of great discovery are juxtaposed against the more tragic results of human failure. In particular, The Race to Reach the South Pole recounts the ill-fated expedition of Captain Scott and his team as their hopes for adventure gradually turned to disappointment and fear. 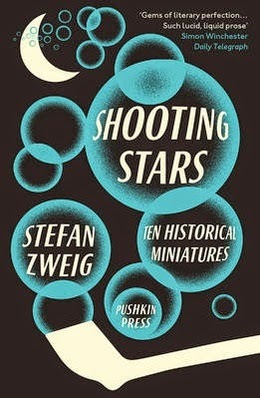 These profound historical miniatures are brought to life by Zweig, providing a broad insight into the extremes of human experience.